Effortlessly does this fine blend hearken back to the passage of the Edwardian era into the great Roaring Twenties, invoking a debonair sense of regal charm. 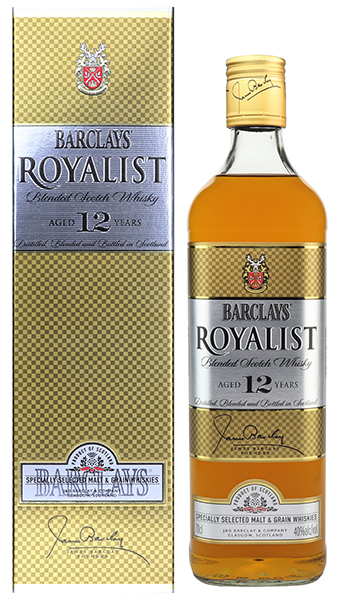 That age of suave sophistication is reflected in the body of this fine 12 Year Old Scotch Whisky. Warm and rounded, custard and butter cream cradle notes of fresh-cut grass and pine. Hints of sherry, hazelnuts and a slight earthy note can be found. Add some water for a rich caramel shortbread aroma. Full bodied and sweet with a rich, velvet mouth feel. Moist fruitcake, raisins and dark orange chocolate. Long and lingering with a touch of vanilla.